This week has been a lot. We have had great news, terrible news, idiotic stunt queen nonsense, and tragedy. I am going to try to keep this mostly light and positive today because the news is already depressing enough. 1. In super cool news, 19 Black women ran to become judges in Houston and WON. YES YES YES. 2. And Sharice Davids and Deb Haaland (remember, Deb!?!?!) 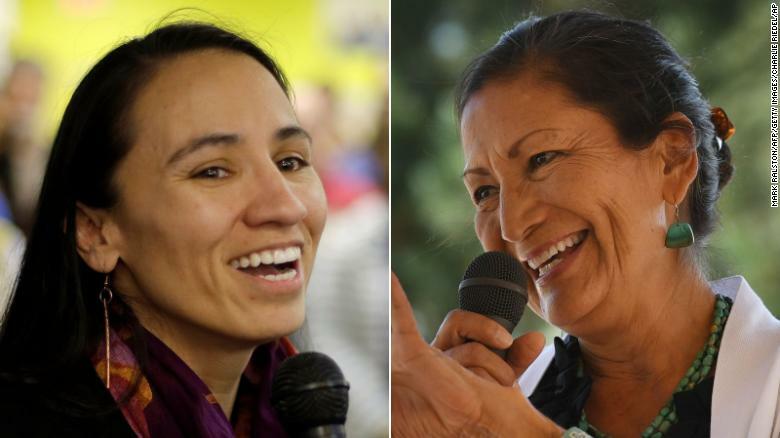 are the first Native American women to be elected to Congress. We also have our first two Muslim women, Rashida Tlaib and Ilhan Omar, who have been elected to congress. This country is changing whether people like it or not. It will not happen overnight, but the incredible diversity of the people elected in the midterms is one of many steps to change the face of leadership in this country. People cannot take a seat at the table until they get into the room. The door to that room is being kicked wide open. 3. I finally finished The Bodyguard on Netflix and WHOA. That was a ride. I hope there is another season! In good news, Richard Madden is still FINE. Spoiler: I totally thought Julia was still alive and it was all a scam to catch who was trying to kill her. Her actual death was a real bummer of a realization. 4. Sunday marks the 100th anniversary of the end of World War I. A war where an estimated 37 million people were killed as a result. It is hard to imagine that this was hoped to be the “war that ended all war” knowing what happened in the 100 years after it, but people never learn. 7. I am going to miss the “Me voting” memes so much! 8. I thought this video was extremely interesting: “America Misunderstands the Declaration of Independence Because of a Typo.” I had no idea! 9. This is a great article about how hard it is to vote in Texas. I’ve had several conversations about voter suppression with international friends, and this piece offers a solid example of how hard they can make it. Also, I think Beto has a bright political future ahead of him, but I do not believe that 2020 is the time for him to run. It is too soon and Trump would eat him alive with his nonsense and lies. You cannot fight him with logic, truth, or empathy. I really don’t know how anyone is going to face off against a wall of hateful, angry, racist, Republicans who seem to not care about the law anymore, but we have to try. 10. I have had this song in my head for weeks, so now you can too.